Remember that classic Sesame Street song “Everyone Makes Mistakes”? Your sister and your brother and your dad and mother too? Well even Apple does too, at least in regards to their website stock photos. 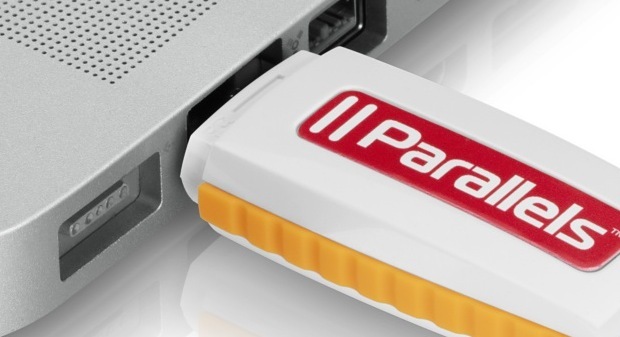 In an amusing picture featured on the Apple Store’s Parallels Desktop 6 page, the Parallels USB installer stick is jammed into, well, the Ethernet port, which is several ports away from the proper USB location on a unibody MacBook Pro 15″ model. Oops. This is almost as funny as the four-eared cat engraved on the iPad. I’m sure the image will get fixed quickly, and to be fair, this could be a generic product shot provided by Parallels or a third party, so it may not be Apple’s mistake at all. 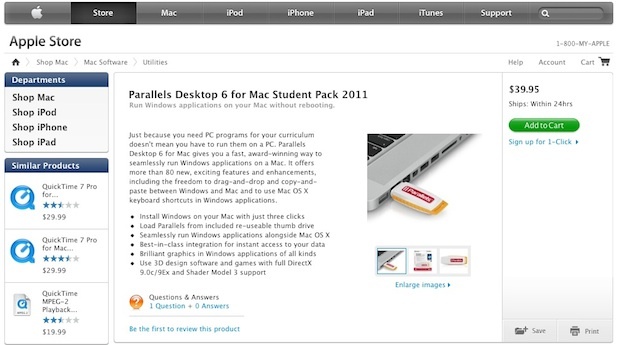 More than likely, this was an image provided by Parallels, and their graphic designer took a stock photo of the Macbook and a photo of the drive and photoshopped them together. Even though a USB drive will actually fit in an ethernet port. Pay close attention!! What you have between the power and firewire? It’s just orientation. Between the MagSafe power and Firewire is the Gigabit Ethernet port. Ouch… I guess there is nothing that I can say but that was probably a glitch in the matrix. I have no idea why I wrote that. I do apologize. Surprising that Apple still hasn’t removed it!! !